The FCA has spent some time trying to eliminate the “rolling bad apples” from the banking sector. Bankers are now master cartographers creating management responsibility maps, which include checklists confirming that all prescribed senior management responsibilities have been allocated and if not, the reasons why. As a result, Senior Managers are pondering their job descriptions and their statements of responsibility have been drawn up, no more than 300 words please. Accordingly we expect to move seamlessly into a world of responsible and accountable banking. However, history teaches us that all may not to be lost for bankers called to task under the new regime. The case of John Pottage v FSA FS/2010/0033, illustrates the available defences which a well advised banker may still be able to deploy. Mr Pottage found himself in the soup when the FSA imposed upon him a penalty for misconduct of £100,000.00 pursuant to s66 FSMA 2000. Mr Pottage was CEO for arms of UBS and it was found that he had breached Principle 7 of the statements of principle and Code of Practice for Approved Persons. One would have thought that this was “game over” for Mr Pottage as he appeared to be very much accountable and responsible. 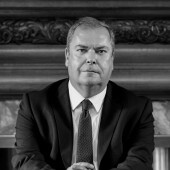 However, the Upper Tribunal (Tax and Chancery Chamber) Financial Services determined that the FSA had not evidenced that Mr Pottage’s standard of conduct was “below that which would be reasonable in all the circumstances”. How did Mr Pottage achieve this result? He successfully argued that the evidence did not sustain the FSA’s case; in fact he argued that it pointed the other way. He emphasised that he had taken a considerable range of steps to discharge his controlled functions responsibilities including initiating a risk review. Every control failure identified in the Business (most of which had arisen in “Operations” where remedial steps had been taken and were in the process of being further addressed) had, he pointed out, been investigated and were being remedied in accordance with a detailed plan. It had been agreed that the staffing and scope of the compliance monitoring team needed to be strengthened and a recruitment process had been started. Moreover, he relied on the fact that no one responsible for internal audit, for risk control and compliance or the FSA itself had been suggesting that it was necessary or appropriate to carry out a wider review of systems and controls than had in fact been undertaken. Regarding the charge that he had failed to learn of weaknesses in monitoring when carrying out his initial assessment, he argued that those weaknesses were not breaches by the Business of its regulatory obligations. Nor were they matters that should have been obvious to him let alone prompt a reasonable person to initiate an investigation of processes and controls earlier than he (Mr Pottage) in fact did. Regarding the charge that he had failed to react to the specific and detailed control failures, those were not, he contended, matters that (either individually or collectively) would have prompted a reasonable person to set up an investigation into whether there were further specific detailed control failures in other areas of the Business sooner than Mr Pottage in fact did. It is difficult to see any different outcome under the new regime.